Dish on serving plate & start decorating your garden by placing your flowers & hearts. Top with Caviar on each flower & add parsley! 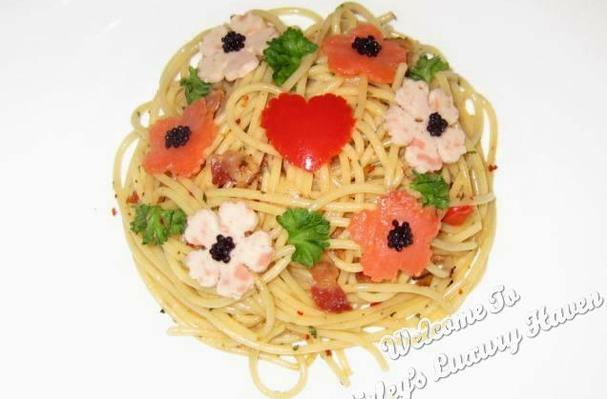 So let’s romance your taste buds with this Flower Garden Aglio Olio!